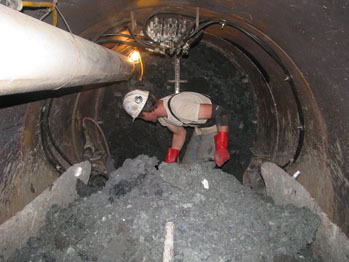 Hand mining is a method of constructing a tunnel in stable ground conditions. The tunnel must be large enough for man entry, minimum of 42 inches. 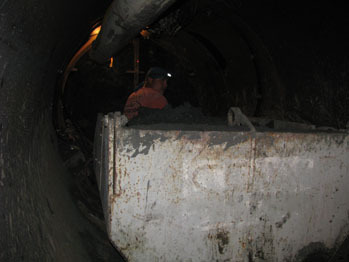 The tunnel face is manually excavated with hand tools while the spoils are typically transported mechanically out of the tunnel and placed on the surface.